It turns out that graphics processing units are helping make some serious breakthroughs in the world of cancer research. Once again, the fields of science and gaming are coming together to make the world a better place. It's recently been revealed that a researcher is using graphics processing units to study both how cancer cells work and how they can be treated. 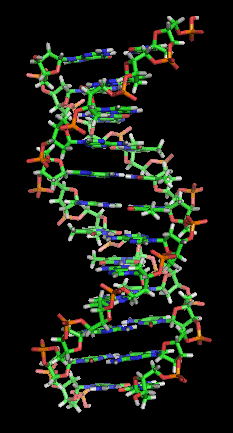 With his team, Cho created a simulation of an RNA molecule, a component of the human telomerase enzyme. The enzyme is found only in cancer cells, and works by adding tiny molecules to the ends of dividing DNA strands, preventing them from dying. "When you have a telomerase enzyme . . . the cell doesn't know that it is supposed to die . . . then it keeps reproducing over and over," said Cho. "This is the very definition of what cancer is." Cho's GPU simulation revealed, for the first time, a more accurate view of how the enzyme works through folding and unfolding. "What I'd like to do is to understand how the telomerase enzyme works so we can find ways of making it not work." According to Cho, his research wouldn't be possible without the indirect aid of gamers: The more gamers there are, the cheaper the graphics cards that do these simulations become. A few years ago, the GPUs used for the project were selling for around $2,000. Now, they're going for $500, and are even faster than before. In order to keep his research ongoing (and feasible), Cho has a simple request: "I realize this is a very selfish thing to want, but I really want people to buy more video games. Basically, you're taking a hit for science."